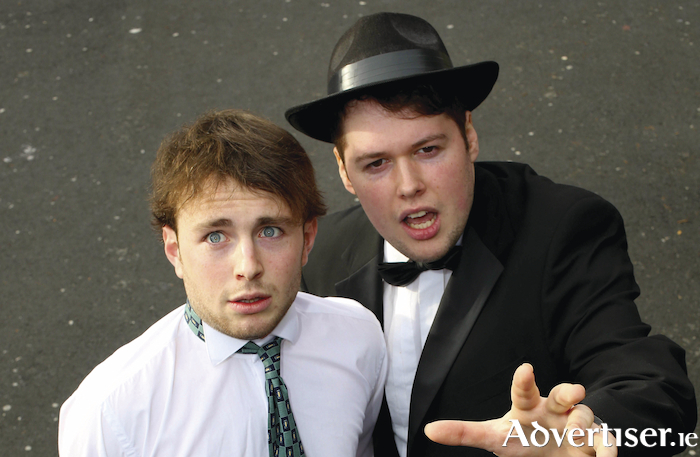 John Rice (Leo Bloom) and Shane McCormick (Max Bialystock) in GUMS staging of The Producers. When former king of Broadway, Max Bialystock, produces a string of shows that close on opening night, an unlikely alliance with a neurotic accountant, Leo Bloom, leads to an ingenious scheme: raise more money than necessary, create a sure-fire flop, take the money, and run! They meet a former Nazi who has written a play eulogising Hitler ("This play's guaranteed to close on PAGE FOUR!" ). What happens next takes everyone by surprise. The Producers runs at the Black Box Theatre from Tuesday February 6 to Saturday 10 at 8pm. Tickets are from the Town Hall (091 - 569777, www.tht.ie ) and the Socs Box, NUI Galway (091 - 492852, www.nuigstudents.ie/theproducers ).